← Finally! A Car for Women! 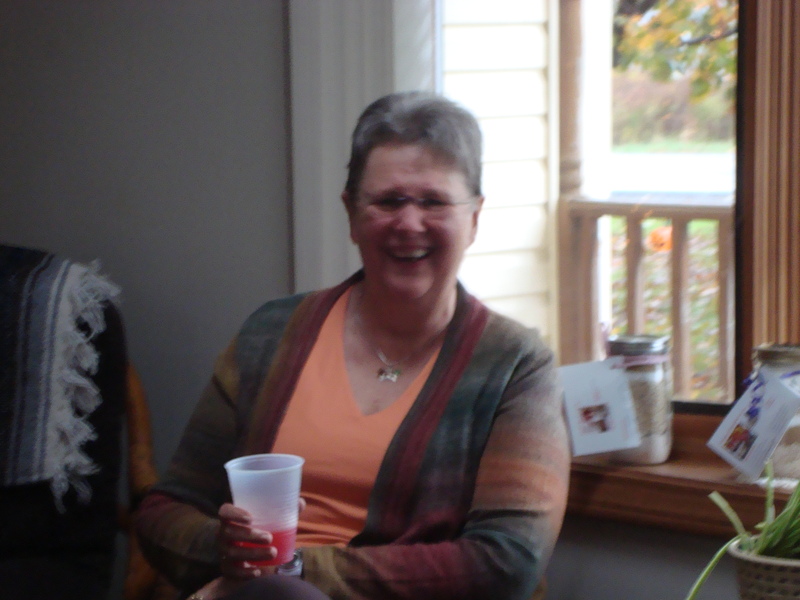 This past weekend I was lucky enough to have a bridal shower thrown for me by Jay’s family. His mother, who is an absolute sweetheart, and her sister hosted it for me. I do know, though, that this is his grandma standing in this picture. She is such a sweetheart and a spitfire! And that’s Mary Ann in the yellow. 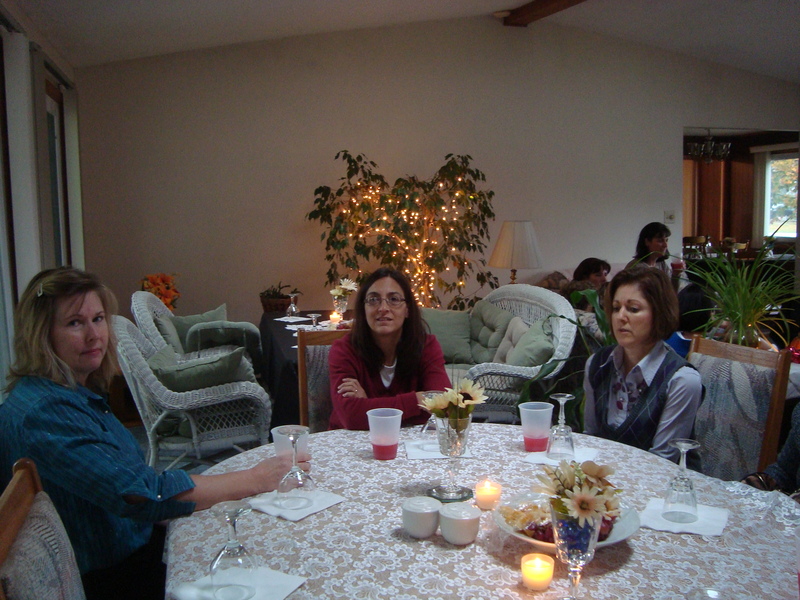 In this picture I remember that the lady in the back is Renee, and I believe that the one sitting on the left is Theresa. And I’m afraid that I can’t recall what the woman in the lovely shade of blue calls herself. This is going to sound horrible, but I only remember Diana’s name out of this group. She’s the one sitting on the left in the blue shirt. These two ladies I do remember (I think!). The lovely lady on the left is Bonnie. I had a great conversation with her about work and what I want to do after I get moved in with Jay. 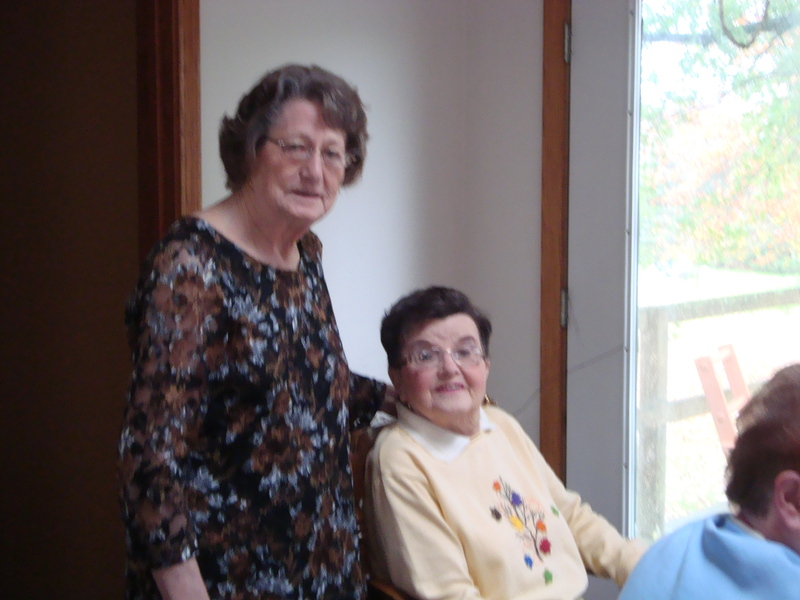 The woman on the right is Marlene (I think that’s her name… my list is in the other room and I currently have a cat on my lap so I can’t get up). She was very nice as well! 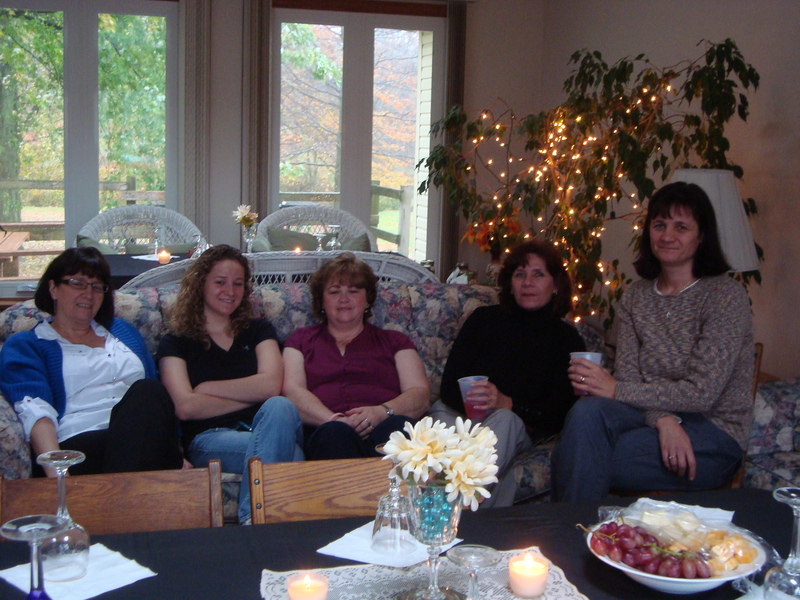 These are Jay’s aunts from his dad’s side. They attended the shower and it was nice to catch up with them. I only get to see them for Memorial Day, Labor Day and Christmas Eve. Oh, and any weddings that are thrown in there. 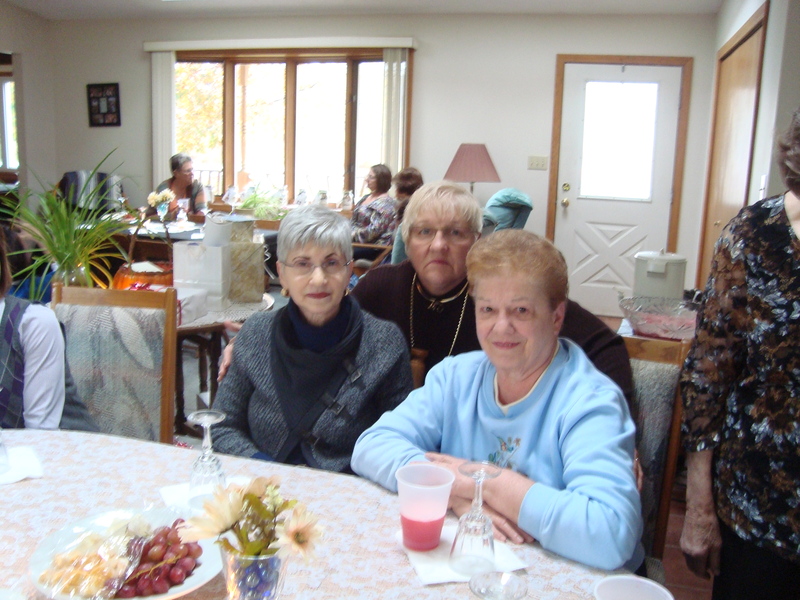 Here we have Aunt Kathy, cousin Maggie, Aunt Sandy, Aunt Jane and Aunt Paula. The weather was not nice outside, but the company inside completely made up for it! I wish that I’d had more time to sit and get to know some of the other ladies, but before I knew it they had to get going. 1 Response to Bridal Shower! What a blessing to have a family of women to embrace you! I’m glad things went well.